Siddon Tang (@siddontang) is a Distinguished Engineer at PingCAP. 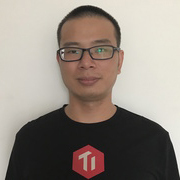 He has been working on TiDB, the next generation HTAP database, and leading the development of TiKV, a distributed key-value store. He is an open-source fanatic and has developed many libraries in Rust, like rust-prometheus, rust-grpc, and rust-rocksdb. In the world of distributed computing, you can never predict what will happen to your cluster. Anything is possible. A butterfly fluttering in Rio de Janeiro could change the weather in Chicago, or destroy an entire data center in Cairo. Network Time Protocol (NTP) might be out of sync, CPUs might mysteriously max out, or worse yet, your diligent database administrator might accidentally remove data in the middle of the night. As an open source distributed NewSQL Hybrid Transactional/Analytical Processing (HTAP) database, Pingcap‘s TiDB (short for Titanium Database) contains the most important asset of our customers — their data. One of the fundamental and foremost requirements of our system is to be fault-tolerant. But how do you ensure fault tolerance in a distributed database? In this article, I will cover the top fault injection tools and techniques in Chaos Engineering, as well as how we execute Chaos practices in TiDB. 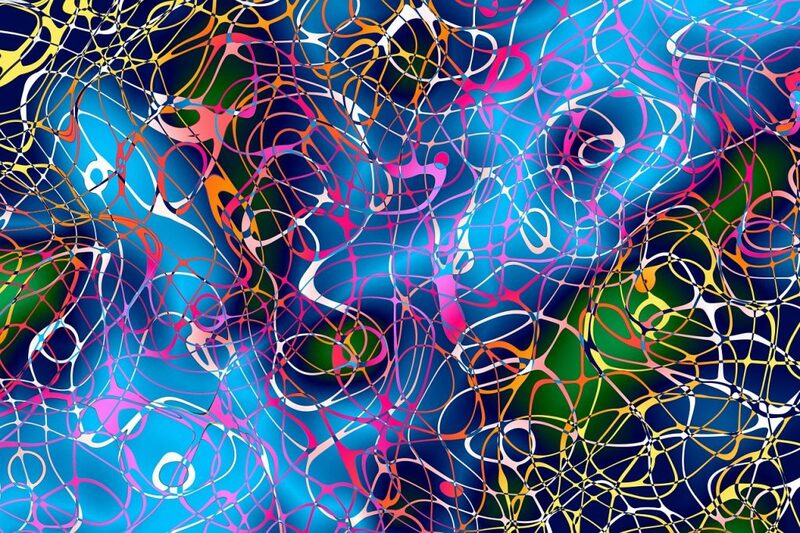 What Is Chaos and Why Do We Need It? Ever since Netflix invented Chaos Monkey in 2011, this Monkey has become more and more popular. If you want to build a distributed system, letting the Chaos Monkey go a little crazy on your cluster can help build a more fault-tolerant, resilient, and reliable system. Typically, we write as many unit tests as we can to ensure all of our logics are covered, build sufficient integration tests to guarantee that our system can work well with other components, and do performance tests to improve the handling of millions of requests. Unfortunately, that’s not enough for a distributed system. No matter how many unit, integration, or performance tests we do, we still can’t guarantee that our system can withstand the unpredictability of in-production environment. We may meet disk failures, machine power lost, network isolation, and that’s just the tip of the iceberg. To make distributed systems like TiDB more robust, we need a method to simulate unpredictable failures and test our responses to these failures. That’s why we need Chaos Monkey. Not only did Netflix invent Chaos, it also introduced the concept of “Chaos Engineering,” which is a methodical way to uncover system-level weaknesses. There are some core principles of the Chaos Engineering, as well as a whole book on Chaos Engineering. Make a list of hypotheses of certain failure scenarios and what we expect to happen. One example in TiDB’s case: If we isolate one TiKV (the distributed key-value storage layer of TiDB) node from the cluster, the QPS (Queries Per Second) should drop, but will soon recover to another stable state. Rinse and repeat on another hypothesis from our list and automate the process. One of the advanced principles in Chaos Engineering is to run experiments in a production environment. Before deploying TiDB for our users, we have to ensure it’s battle-tested. However, we can’t perform these experiments in our customers’ production environment, because they entrust TiDB with their most mission-critical data. What we can do is create our own “battlefield” — an internal production environment. Currently, we are using TiDB to power Jira for our internal issues tracking and project management work, “eating our own dog food,” so to speak. With this setup, we can run Chaos experiments on Jira. Without any warning, we would inject faults to jeopardize all aspects of the Jira system while our own employees are using it for their daily tasks, in order to simulate a series of cascading “accidents” to identify possible system loopholes. We call this practice “military drill,” and it occurs frequently during our daily operations. In the following sections, I will walk through how we do fault injection and automate the process. Use kill -9 to kill the process by force or use kill to kill the process gracefully and then restart it. Send SIGSTOP to hang or SIGCONT to resume the process. Use renice to adjust the process priority or use setpriority for the threads of the process. Use iptables or tc to drop or reject the network packages or delay the network packages. Use tc to reorder the network packages and use a proxy to reorder the gRPC requests. Use iperf to take all network throughput. Use libfuse to mount a file system and do the I/O fault injection. Link libfiu to do the I/O fault injection. Use rm -rf forcbily to remove all data. Use echo 0 > file to damage a file. Copy a huge file to create the NoSpace problem. Although the Linux kernel’s Fault Injection Framework is powerful, we have to rebuild the kernel because some users won’t enable it in their production environment. We do this because, for example, we want to see the system panic after the snapshot data is saved, but meta is not yet. How can we do this? We can use a mechanism called fail. Using fail we can inject the fault exactly where we want it. In Go, we can use gofail and in Rust, we can use fail-rs. In this example, we inject a fail point with name “snapshot,” and then we can trigger it to throw a panic message like FAILPOINTS=snapshot=panic(msg) cargo run. We have introduced some individual methods for fault injection. There are also platforms that are integrated with these methods, which enable us to inject faults separately or simultaneously. The most popular of these platforms is Namazu, a programmable fuzzy scheduler to test a distributed system. You can run your system in the Namazu container. 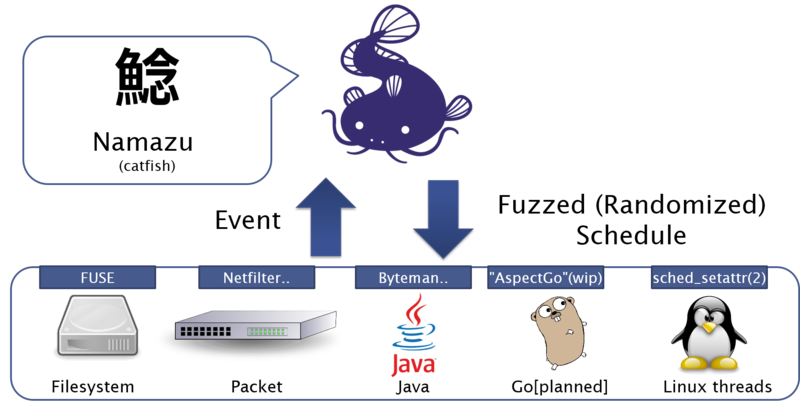 In the container, Namazu will schedule the process through sched_setattr, the file system with fuse and the network with netfilter. Unfortunately, we found that enabling file system scheduler of Namazu will cause the CentOS 7 operating system to crash, so for TiDB, we only run Namazu on Ubuntu. Another platform is Jepsen which is designed to verify the linearizability of the distributed database. Jepsen uses Nemeses to disturb the system, records the client operations, and verifies the linearizability through the operation history. We have set up a Clojure library to test TiDB, and you can read the details here: TiDB Jepsen Test. Jepsen has been integrated in the continuous integration (CI) tool, so that every update in the TiDB code base will automatically trigger CI to execute the Jepsen test. You can check out the details in an earlier blog post: When TiDB Meets Jepsen. The tools or platforms we’ve mentioned so far are all publicly available tools to help you put Chaos into your system. But for testing TiDB, we needed to automate all these tests to improve both efficiency and coverage. That’s what drove us to create Schrodinger. Clean up everything and release the machines after all tests are finished. As you can see, all these tasks involved manual and tedious operations. When the TiDB code base grew, many tests needed to run concurrently. The manual way simply couldn’t scale. To solve this problem, we built Schrodinger, a test platform that performs Chaos Engineering automatically. All we needed to do was configure Schrodinger to perform the specific testing tasks, and it would take it from there. Schrodinger is based on Kubernetes (K8s), so we don’t depend on physical machines anymore. 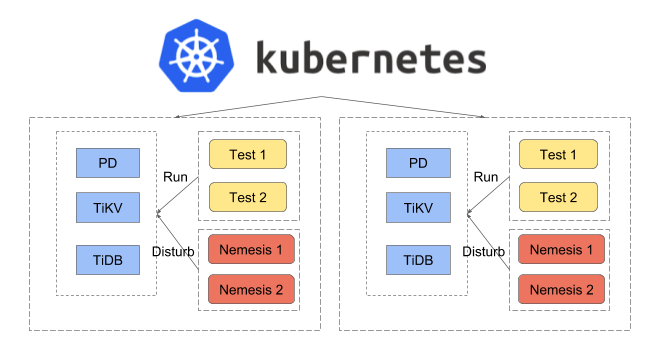 K8s will hide the machine-level details and help us schedule the right job to the right machines. Below is the homepage screenshot of Schrodinger, showing an overview of tests that are running. We can see that two tests failed and one test is still running. If the test fails, an alert will be sent to our Slack channel and notify a developer to fix the problem. 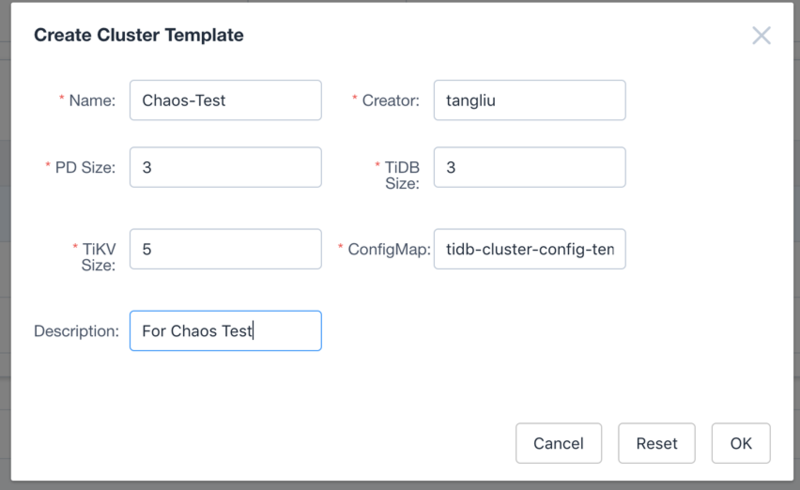 Create a test case for the cluster using the Create Case Template. We can use a prebuilt binary test like the following bank test, or let Schrodinger build a new one from the Git source. 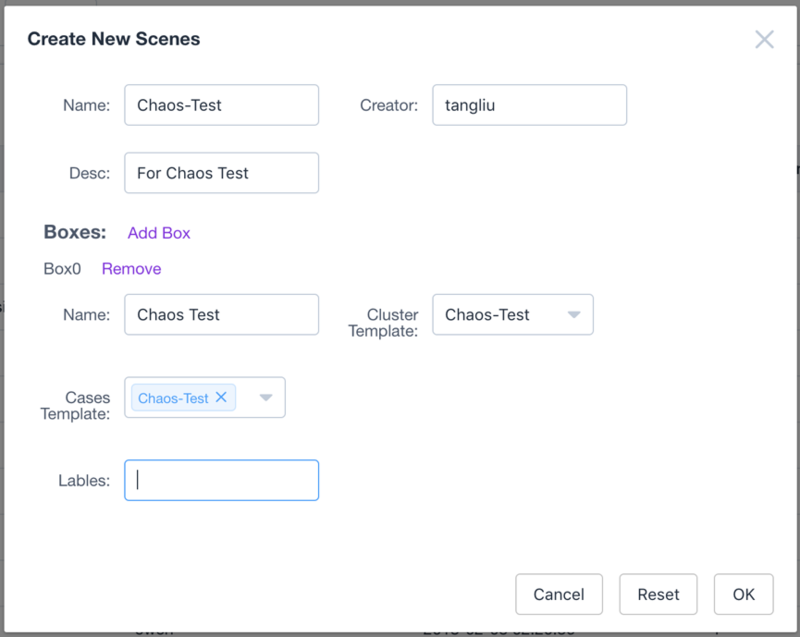 Create a scene to link the cluster we configured in the previous step and add the test cases to this cluster. 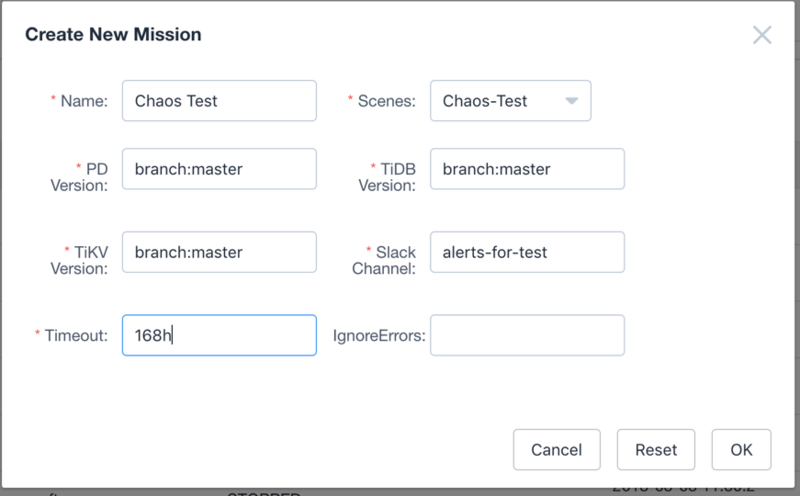 Create a mission to tell Schrodinger the detailed versions of the TiDB cluster and attach a Slack channel for alert. For example, in the following snapshot, we let Schrodinger build the entire cluster from the newest master sources. After we create the mission, Schrodinger gets working and runs all the test cases automatically. Schrodinger can now run tests in 7 different clusters simultaneously, 24/7 without stop. This frees up our team from manual testing; we just need to configure the testing environments and tasks. For future development, we will continue optimizing the process to make our Chaos Monkey smarter. Instead of always manually setting up testing environments and tasks, we are working on ways to make Schrodinger “study” the cluster and figure out how to inject fault automatically. Netflix has already been doing research in this area and published a related paper: Automating Failure Testing Research at Internet Scale. We are building off this research to advance our own R&D effort, and will share our progress soon! Besides the fault injection and Chaos Engineering practices, we are also using TLA+, a formal specification language developed to design, model, document, and verify concurrent systems to verify our distributed transaction implementation and related algorithms. TLA+ is developed by Leslie Lampor, and we have already used it to prove our Two-Phase transaction algorithm, documented here. We plan to use TLA+ to prove more algorithms in the future. From the moment we started to build TiDB, we decided to use Chaos to test it. As I’ve shown, Chaos is a great way to detect systematic uncertainty in a distributed system and build confidence in the system’s resiliency. We firmly believe that a proper and thoughtful application of Chaos Engineering will determine the success of a distributed system. 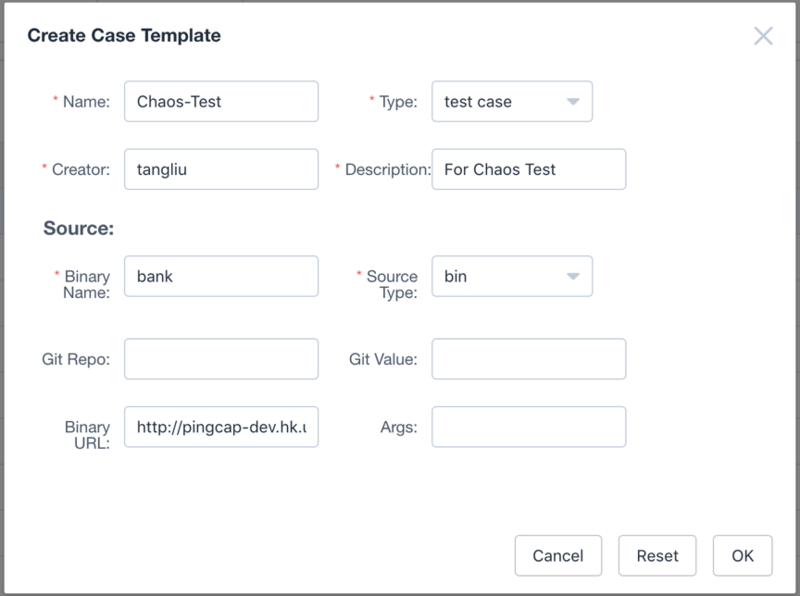 If you are interested in Chaos Engineering, please don’t hesitate to contact me at tl@pingcap.com.